Cell-free DNA (cfDNA) which is present in the blastocoel cavity of embryos is believed to result from physiological apoptosis during development. This study assessed cfDNA content and caspase-3 protease activity in day-5 IVF blastocysts to determine if there was a correlation with embryo morphology. Day-5 IVF blastocysts were scored according to the Gardner and Schoolcraft system (modified to generate a numerical value) and cfDNA was collected following laser-induced blastocoel collapsing prior to cryopreservation in 25 μL of media. cfDNA was quantified via fluorospectrometry and apoptotic activity was assessed via a caspase-3 protease assay using a fluorescent peptide substrate. Data were compared by linear regression. A total of 32 embryos were evaluated. There was a significant (p < 0.01) and positive correlation (cfDNA = 104.753 + (11.281 × score); R2 = 0.200) between embryo score and cfDNA content. A significant (p < 0.05) and positive correlation (cfDNA = 115.9 + (0.05 × caspase-3); R2= 0.128) was observed between caspase-3 activity and cfDNA levels. 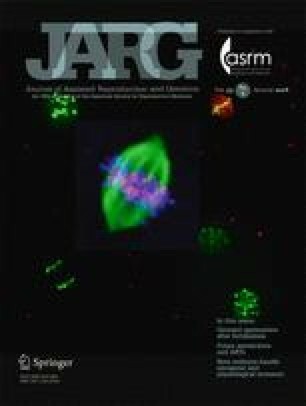 There was no significant relationship between caspase-3 activity and embryo morphology score. This study provides further evidence that cfDNA is present in blastocoel fluid, can be quantified, and positively correlates with embryonic morphology. There is also evidence that at least a portion of the cfDNA present is from intracellular contents of embryonic cells that underwent apoptosis. Additional studies are warranted to determine other physiological sources of the cfDNA in blastocyst fluid and to determine the relationship with cfDNA content, embryo morphology, and chromosomal ploidy status plus implantation potential.